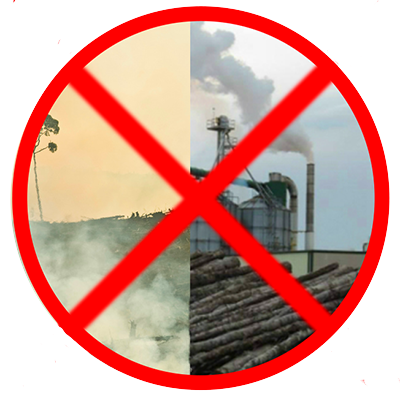 10th February 2016 – 120 civil society organisations and networks from across the globe have published a declaration today, calling for bioenergy to be excluded from the next EU Renewable Energy Directive (RED) . The declaration is being submitted to a consultation into the renewal of the directive for 2020 onwards . The EU intends industrial bioenergy, i.e. biofuels and wood-based biomass, to continue playing a major part in its new renewable energy strategy. Campaigners say this will exacerbate the grave impacts already being experienced because of current support for biofuels and wood-based bioenergy in the EU. Bioenergy already accounts for around two-thirds of energy classed as renewable in the EU. The central premise of the declaration is that bioenergy should not be classed and supported as renewable energy, contrary to current EU definitions. Campaigners point to growing evidence that industrial bioenergy is not renewable because it is not replenished as quickly as it is consumed. Worse still, carbon emissions from burning biomass for energy are often greater than the emissions from the fossil fuels they are supposed to replace. The declaration sets out a powerful case for the exclusion of all forms of bioenergy from the new legislation, citing numerous examples of the harm that current EU bioenergy policy has done to people, forests and the climate. Peer-reviewed studies and on-the-ground investigations show how industrial-scale bioenergy is not renewable . Instead, it results in significant carbon emissions and fuels the destruction of biodiverse forests from North America to South-east Asia and Europe itself, which are vital carbon sinks. Biofuels in particular have become a major driver for land-grabbing in the global South and are, in many cases, linked to serious violations of land and labour rights.